Chef Chad White has over 18 years of experience in the culinary arts. White got his start in the US Navy and went on to work for some of the countries' best chefs before opening his own restaurants. He has been featured on Travel Channel’s Bizarre Food’s with Andrew Zimmern, Vice, Munchies in Tijuana and is an alumni contestant on Bravo’s Top Chef Season 13. Chad’s wild creativity combined with his authentic sense of flavor, style and organic fearlessness is the driving force behind his kitchens, Pushing expectations and boundaries, he gives life to what he has fashioned into his own indelible signature: food outside the borders, flavor beyond expectation, with delight all but guaranteed. White has opened eateries on both sides of the U.S. southern border. In 2010 , he co-owned Sea Rocket Bistro in San Diego, California where he was named “The Seafood Maverick” and one of San Diego’s best seafood chefs. In 2013 he opened La Justina in Tijuana and Craft Pizza Company in La Jolla, California. In 2014, he brought Común Kitchen & Tavern to the East Village in San Diego, California where he was named Eater’s "Chef of the Year" in 2015. After competing on Top Chef in 2016, Chad brought Zona Blanca, a Mexican ceviche bar, to Spokane, Washington, where he was named Inlander Magazine's “Chef of the Year” in 2017. In two short years, Zona Blanca has won many awards including 2017 Best New Restaurant and Top 3 Best Seafood Restaurants in Spokane by the Inlander, 2017 & 2018 Best Fast Casual Restaurant by Spokane Culinary Arts Guild as well 2018 Industry Innovator Award by the Washington Restaurant Association. 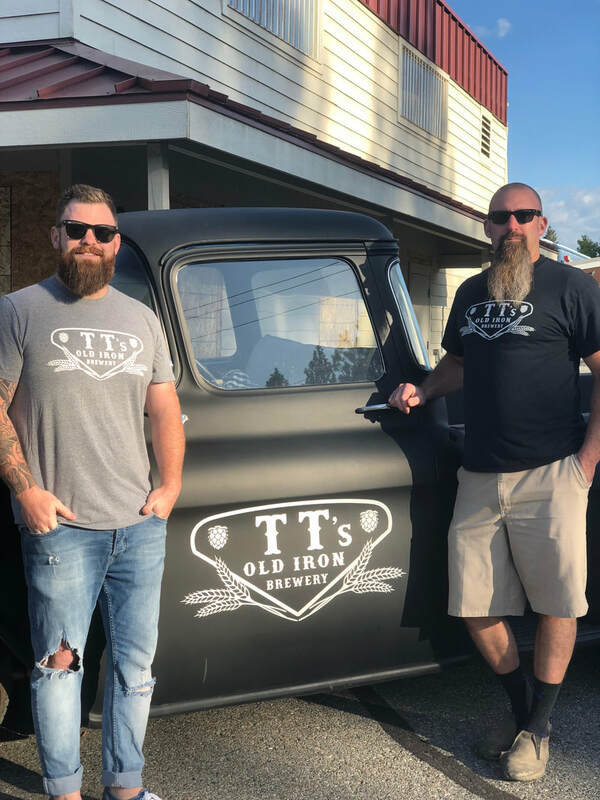 In the spring 2019 Chef Chad is bringing TT's Old Iron Brewery and Barbecue to the Spokane Valley with his partner Travis Thosath. Connect with Chad White and the TT's Old Iron Brewery and Barbecue team via Facebook, Instagram and their website.